A major UK sports retail company have ordered a Newland ‘Factory Refurbished’ telescopic boom conveyor for their distribution centre at Shirebrook. 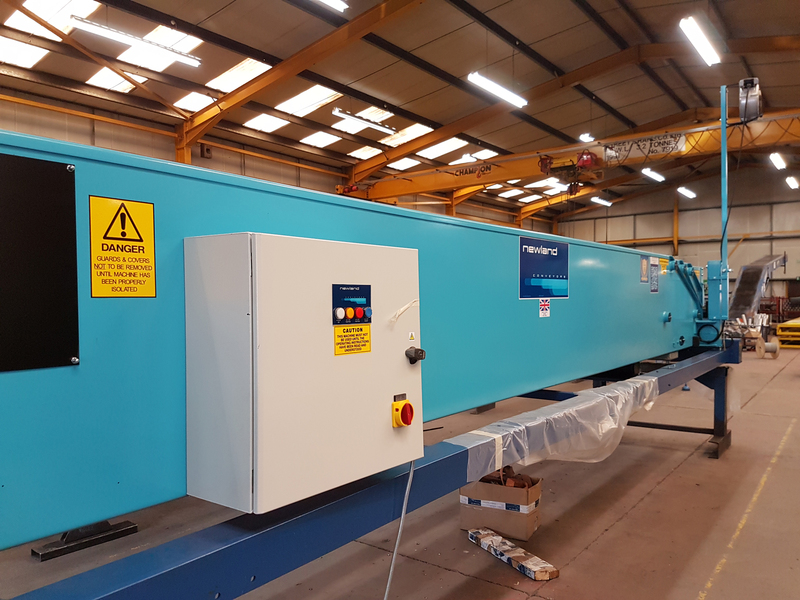 During factory refurbishing, the machines are stripped down to their shell with all the main boom sections cleaned & repainted. All component parts are then replaced with new parts including the belt, machine control panel & drive units. Our customers customers always remark on how good the machine looks & cannot tell the difference from a new machine. This is not just for the customers’ benefit but also for Newland Engineering as it makes sense to replace parts with new that otherwise could potentially fail in the near future. Once delivered the Newland telescopic MTC3X will be mounted on a low level, powered traversing chassis. The conveyor will be used in addition to other Newland machines currently operating at the Shirebrook site. The new conveyor will work alongside a Newland MTC135 Manrider telescopic belt conveyor, a MTC4X (15.25 m telescopic action) on a fully mobile ‘Twin Powered Wheel’ chassis & a Newland TC33 mobile belt conveyor.